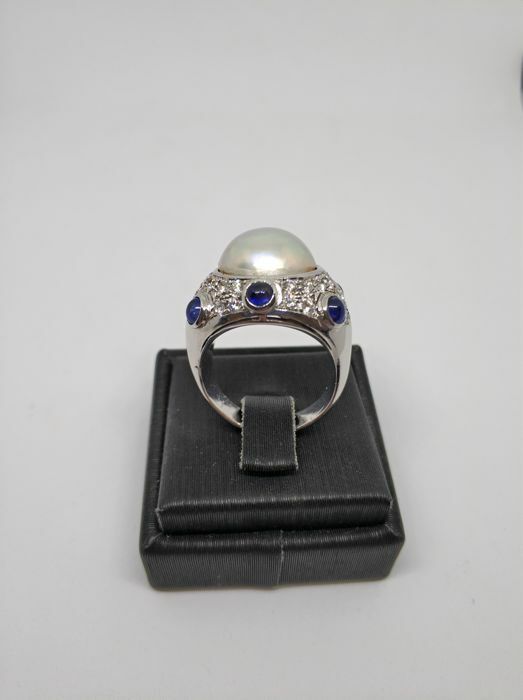 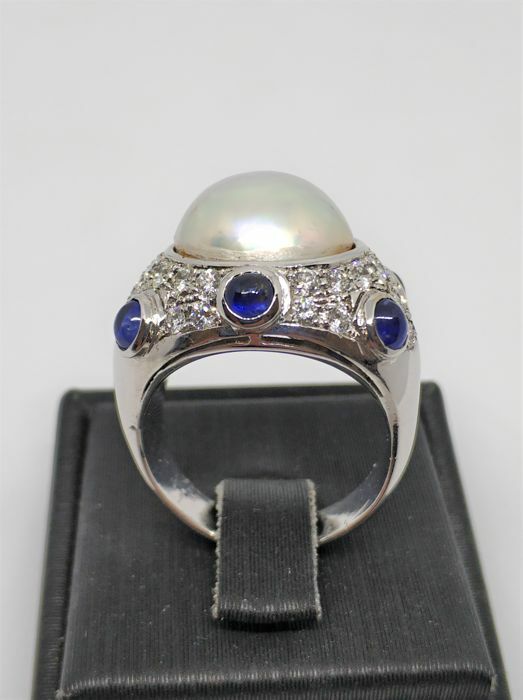 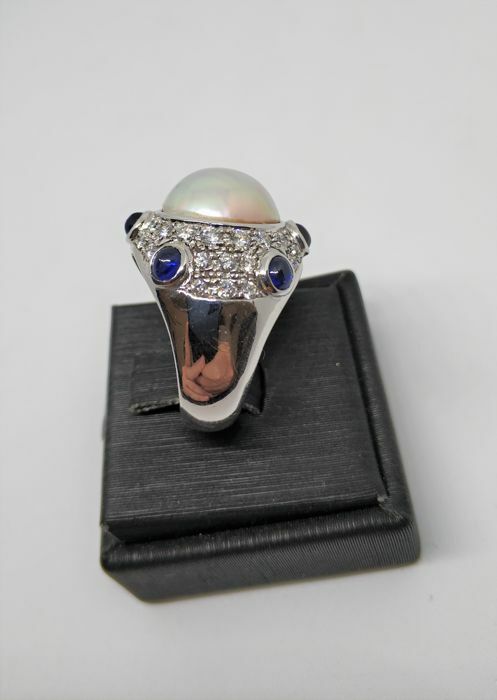 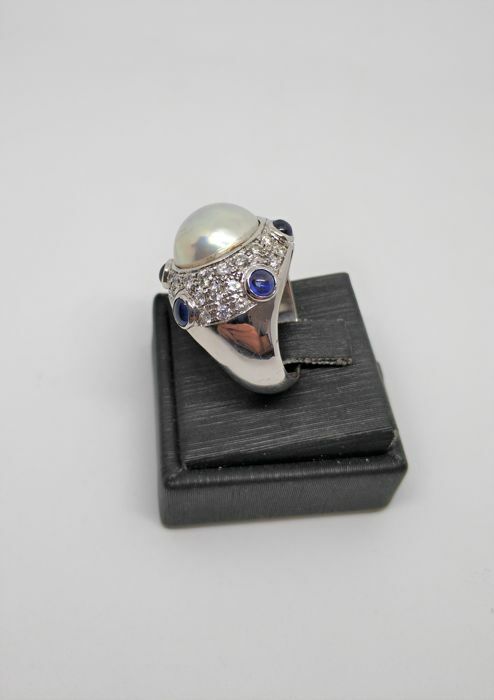 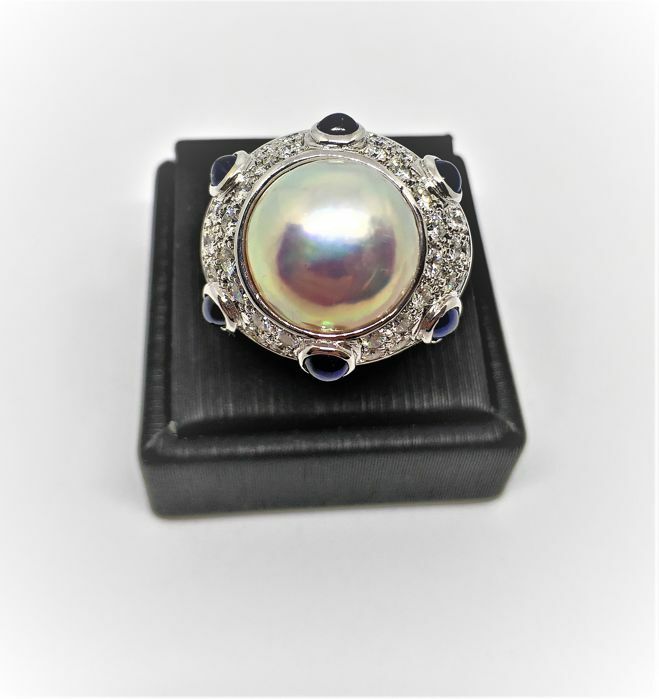 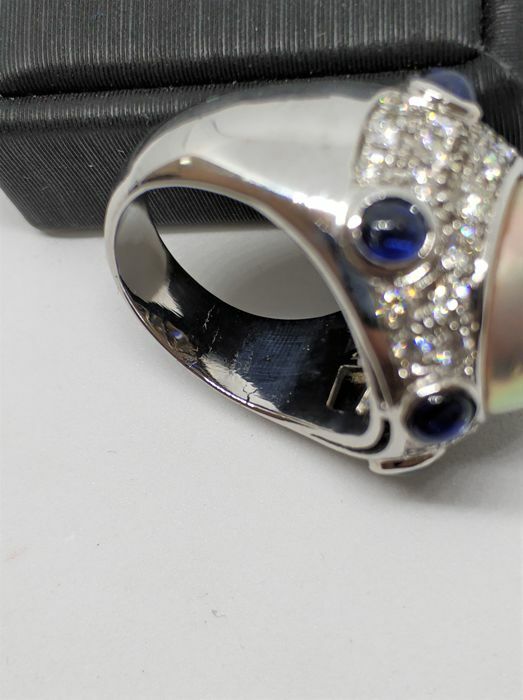 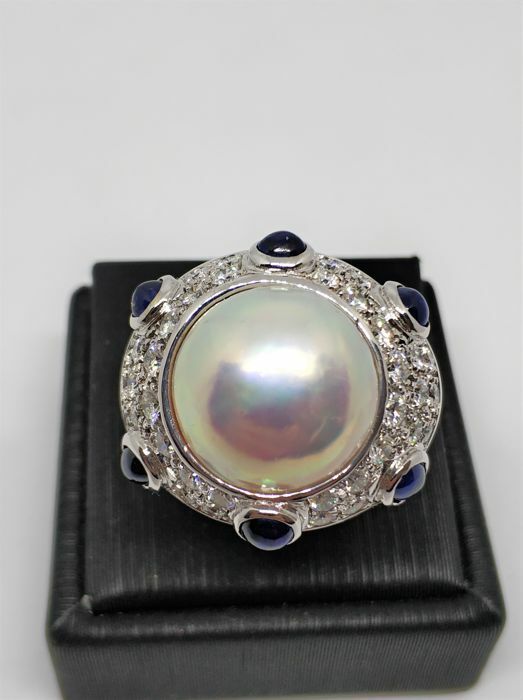 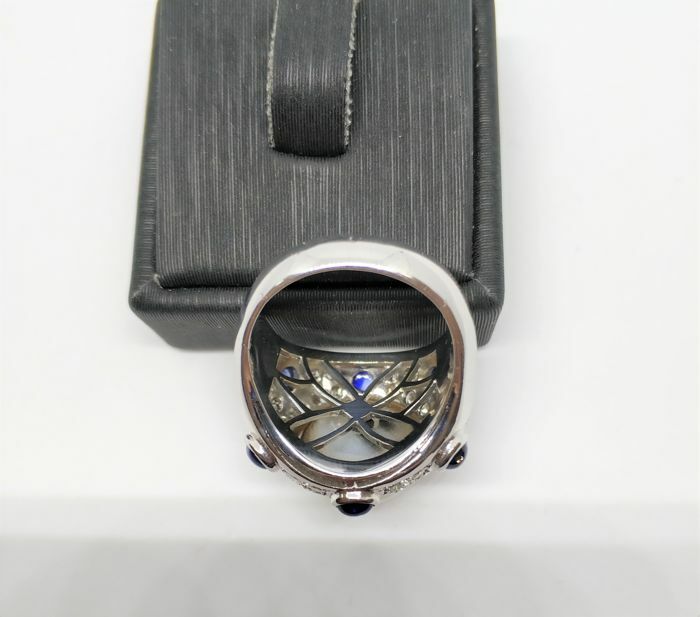 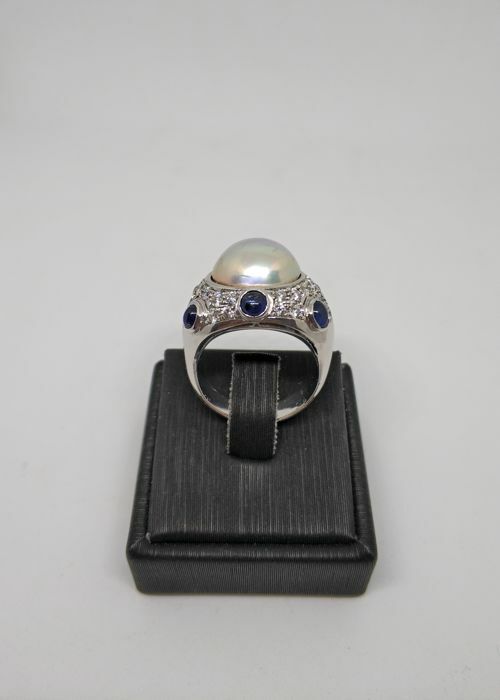 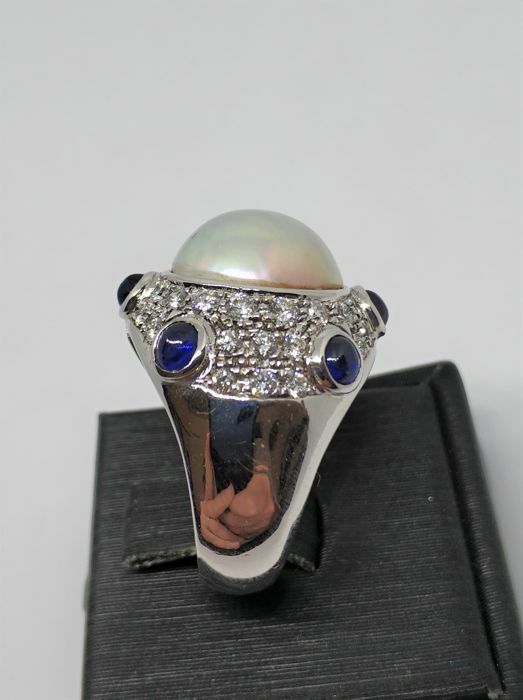 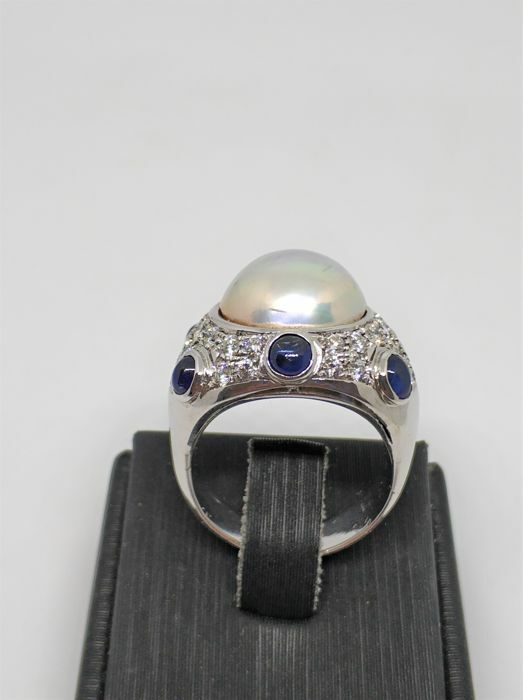 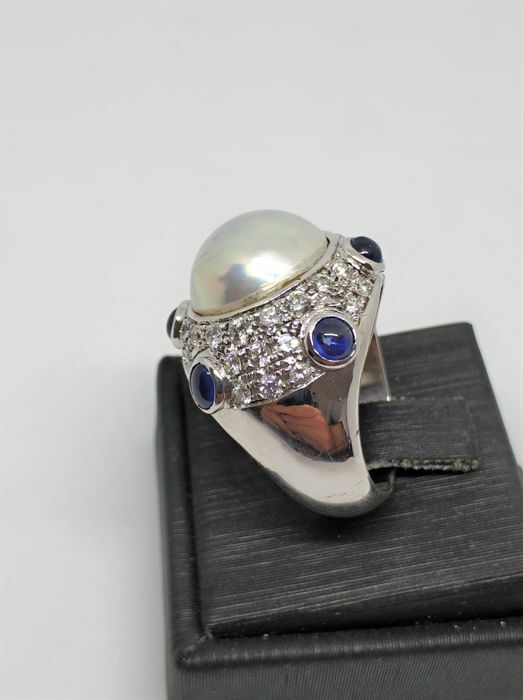 18 kt white gold, total weight 20.75 g, size 20, pearl, diameter 14.5 mm, diamonds totalling 1.20 ct, J/VVS, 6 blue sapphires for approx. 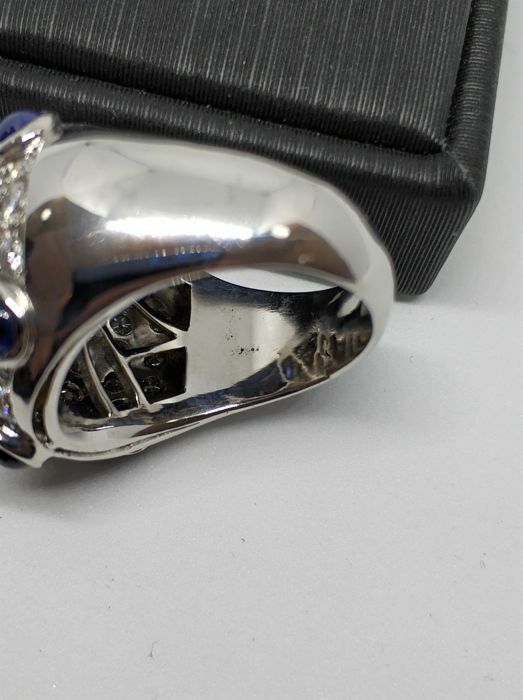 0.20 ct each. 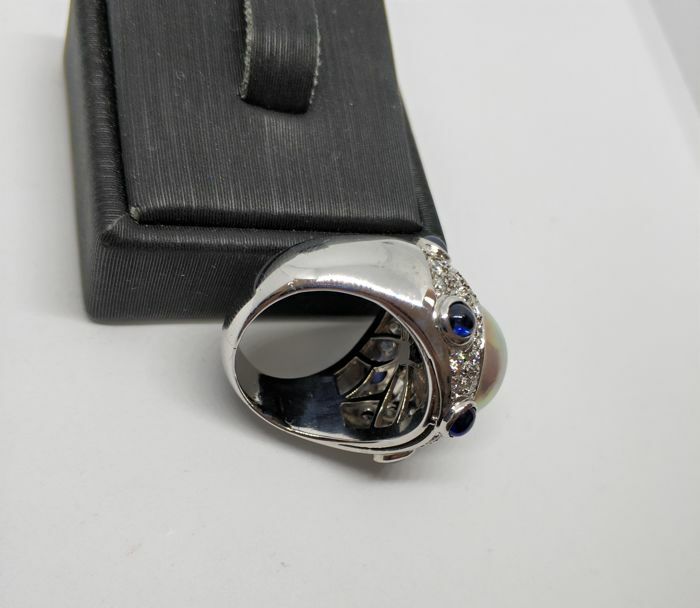 There are no hallmarks. 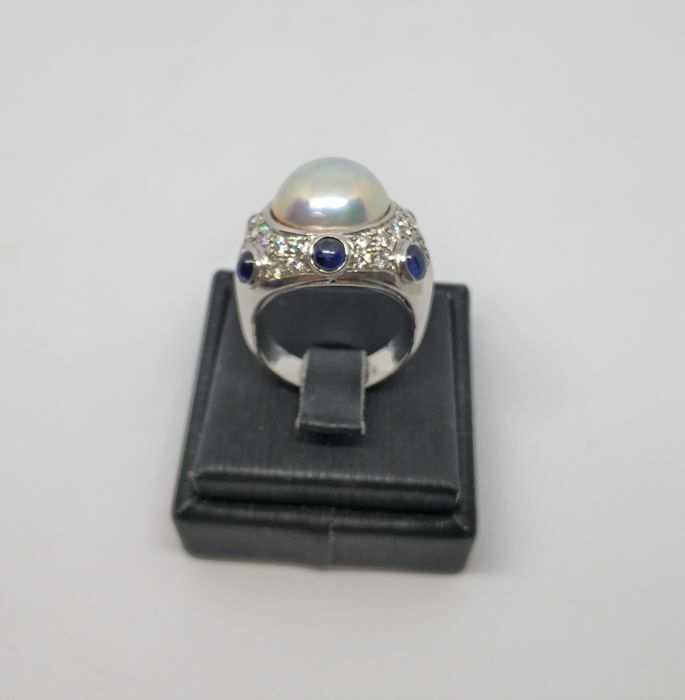 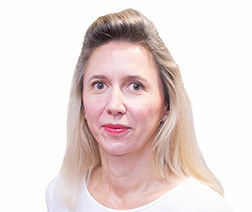 If resizing is required it will take an extra 3-5 days to fulfil the order.